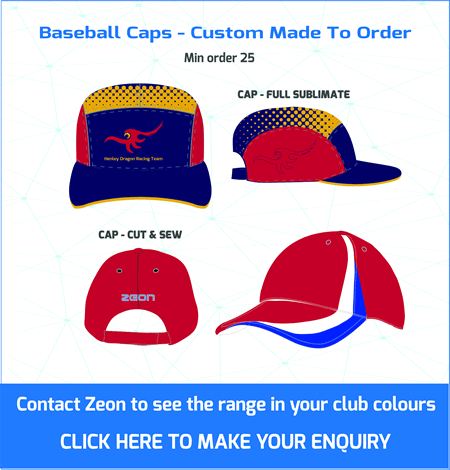 Suppliers of Custom Made Sportswear. 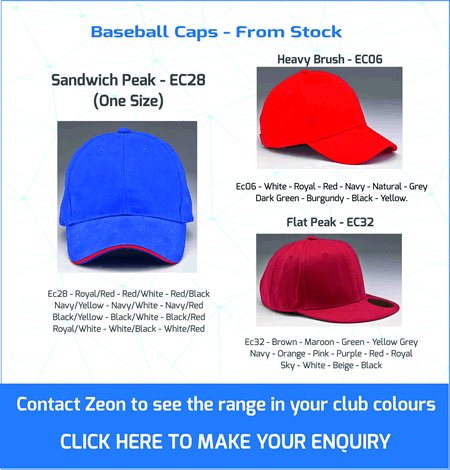 ZEON Baseball Caps custom made in your club colours. High Performance Training Vests featuring modern club styling, super lightweight fabrics and exclusive Zeon venting panels. 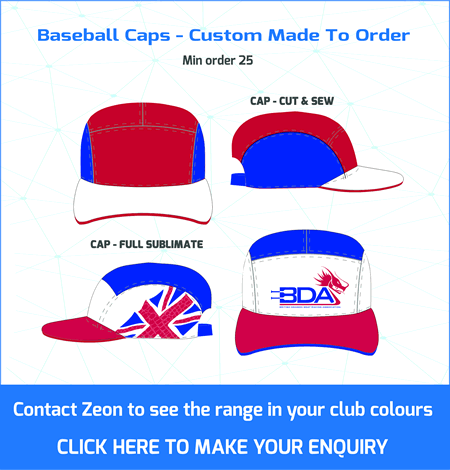 High street fashion hoodies custom made in your club colours.